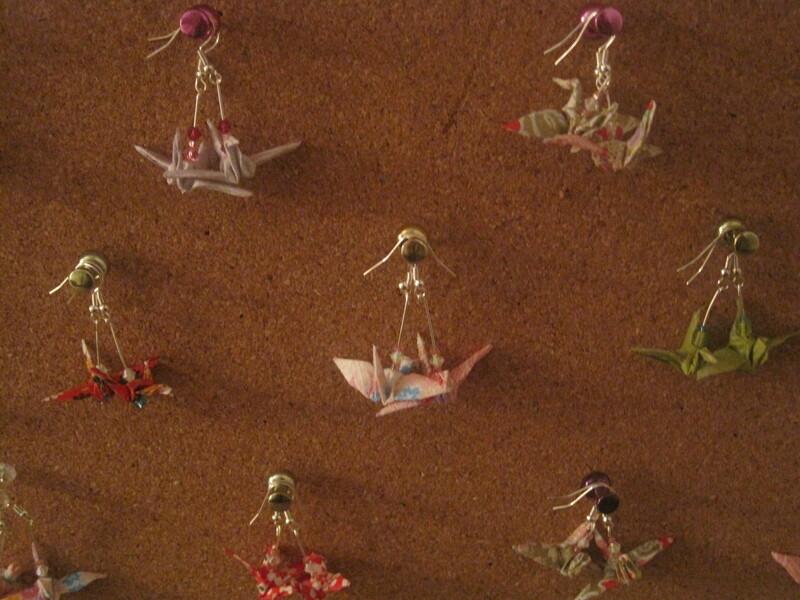 Since we’d been crafting for so long, we decided to try and sell what we’ve been making. So, bundled up in blankets in the “cold” Florida weather, we got together and attempted to sell handmade Christmas ornaments, cat toys, dog collars, wine charms, magnets, necklaces and scarves, which were a hot commodity on such a cold day. The “Handmade Holiday Bazaar,” as it was called, was a day-long event that attracted a steady stream of people, though not nearly as many as it probably would have if the weather had cooperated. 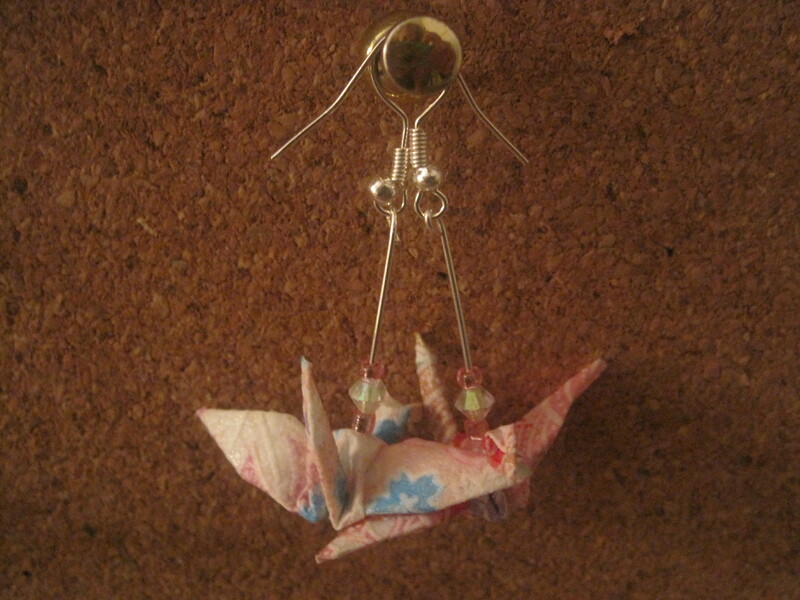 I sold paper crane earrings, which unfortunately weren’t very popular. I marked the price down from $8 to $4 halfway through the day in hopes of selling at least one pair. I wanted to see people get excited about my craft much more than I wanted the money. Turns out, two elderly women liked the earrings enough to each buy a pair! By the day’s end I came away with $8 — and a lot of Christmas presents for my earring-wearing friends. If you’d like a pair, let me know.